Seed Pick-up is from 10 a.m. – 3 p.m.
December is the month when the heaviest bird feeder traffic begins as days become windy and cold and nights are long and even colder. The lush, berry-laden vegetation of summer and fall have disappeared and insects have either died or become dormant. 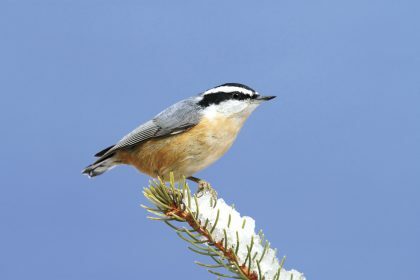 Birds may find it especially challenging to find food on days of extreme cold temperatures. This is the time when it is particularly important to fill feeders and keep them filled. For more information about winter bird feeding and what seed to buy, click here. Knowledgeable staff are always on hand to help you select the right feeder and seed for your backyard. Pre-order forms are due Wednesday, November 29. Click here to download the pre-order form.